Loved, hated… mostly hated. The current GOATS, or three-three, meta has been a hotbed of controversy among Overwatch fans and pros alike. But whether you love the team-play and coordination, or you despise the slow grind for every Ultimate in the game, we’re here to give you the ins and outs. GOATS owes its naming to the team that first ran it, the tier 3 North American organization of the same name. Your basic GOATS consists of three tanks and three supports, hence the alternate “three-three” title used by casters. The main idea of the composition is to keep the tanks’ large health pools consistently up through persistent healing until Ults are farmed. Despite many, many nerfs, GOATS remains the dominant meta almost a year since its inception. The third and current logo of GOATS. GOATS (the team) debuted the composition in Season 2 of North American Open Division. GOATS achieved a comfortable 10-0 record and went on to win Season 4 of the BEAT Invitational. Their play style redefined Overwatch as teams across the scene began to emulate them. While the initial reaction was admiration at the level of coordination and ingenuity required to play the comp, this quickly turned sour as fans and players alike voiced their distaste at the lack of DPS; the long, drawn out fights; and the over-dependence on Ultimates. Multiple targeted nerfs and three new heroes later, GOATS is still dominant. GOATS play styles vary heavily based on the variation. Most have Zarya, D.va, Lucio, and Brigitte. Having a Rein provides a more top-heavy comp in which the main tank takes the brunt of the damage. Alternatively, the DOATS (dive + GOATS) comp features a Winston instead, allowing for much greater maneuverability in a higher-risk, higher-reward play style. The other main exchangeable lot in GOATS is that of the third support. 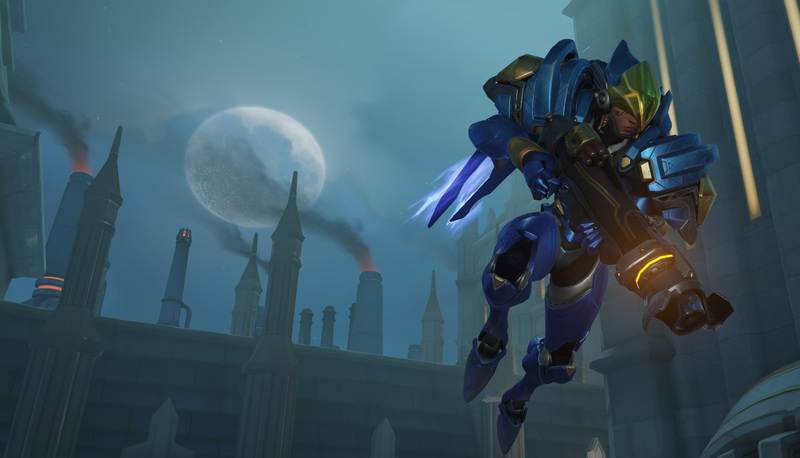 The basic GOATS has a Moira to provide all of that AOE healing, but Zen and Ana variations have also been developed. Ana GOATS revolves around using her Biotic Grenade to cut off healing to the other team’s tanks, allowing for much easier eliminations. By contrast, Zen GOATS revolves around bursting down the enemy main tank specifically through Orb of Discord and his right click. Zen GOATS also benefits through his Ultimate, Transcendence, which provides an additional defensive Ult to Lucio’s Sound Barrier as well as higher DPS. While we’ve already gone over some of the key variations, some more situational or radical comps exist as well. By switching Mei in for the D.va, you get her Ice Wall. This allows you to split and cut off attackers in chokes while having very effective crowd control against Deathball-style compositions. Similarly, some teams have replaced D.va with Baptiste, allowing for more ranged DPS (poke). He also provides a more reliable Graviton Surge counter through his Immortality field. Other compositions opt to switch the Brigitte out for a “divey” (high-maneuverability) DPS. A Sombra provides the incredibly powerful EMP and hacks while Doomfist, Tracer, and Genji give huge burst DPS and potentially fight-winning Ults. Pharah can break apart an uncoordinated GOATS. Image courtesy of Blizzard. For the most part, where GOATS has been employed in the pro scene, it has become a mirror matchup. But there are notable exceptions. On wide, open maps, many teams have been able to employ “quad-DPS” to great success. It requires expert coordination, but having four DPS heroes allows you to burst down heroes faster than they can be healed. Alternatively, against uncoordinated teams, GOATS can be broken through the unrelenting poke damage from the likes of Pharah or Junkrat. That said, usually, teams opt to counter one variation of GOATS with another. For more Overwatch composition content, check out our guide on how to use “Pirate Ship.” Or to see them in action, check out the Overwatch League’s video archive.